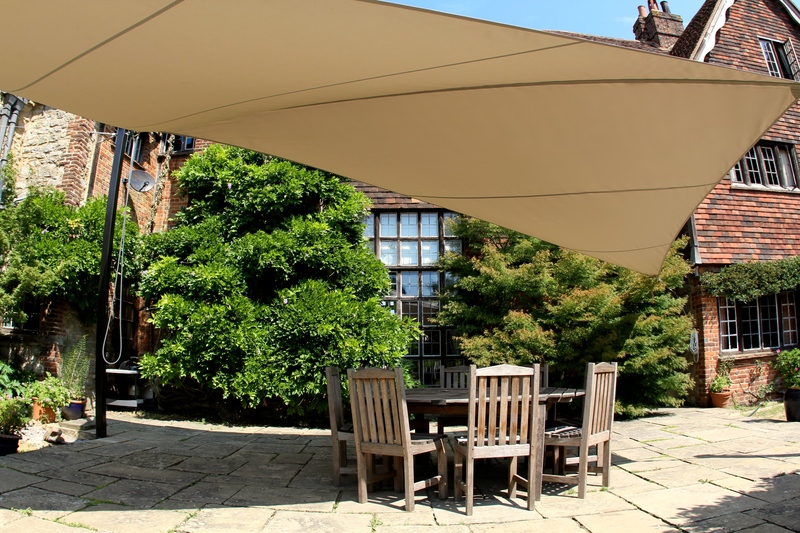 Shade Sails and Canopies from Jeckells the Sailmakers offer an almost unlimited degree of versatility in design options, colours and material choice. 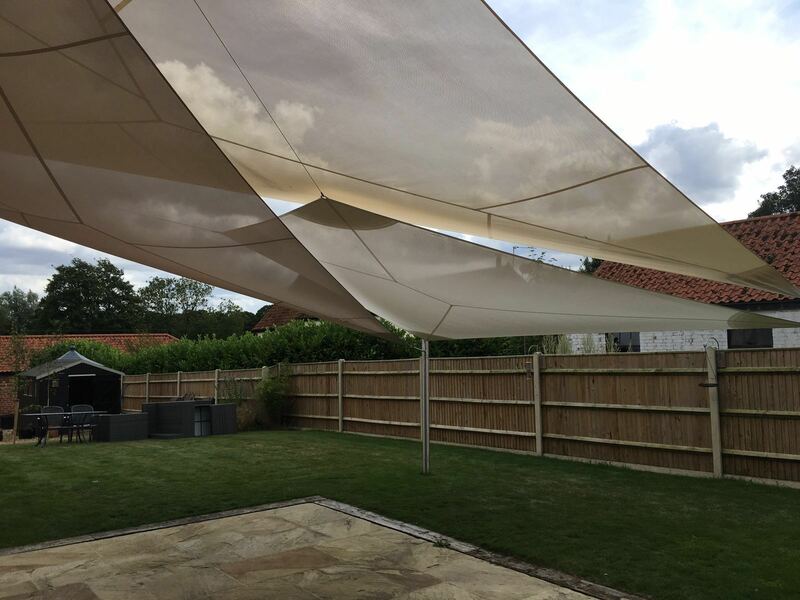 Apart from UV block, we can make sails that offer complete protection in most weather conditions and our materials are available in either plain or fire retardant specifications depending on their end use. We have our own riggers who can work on site to erect the shade and supply all the necessary wire and rope work. We can make any type of fabric structure and are delighted to quote for all projects no matter how small, large or even how strange they are. We will always rise to the challenge! We have supplied retractable smoking shades for pubs all over the country, shade sails for schools, gardens, leisure parks and various other interior and exterior structures including four innovative Tensile Shade Sails to create a hospitality area for one of the Ferrari F1 Team sponsors at the first ever Abu Dhabi Grand Prix. 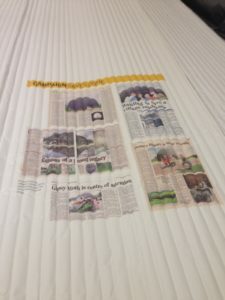 We are truly an international Company! 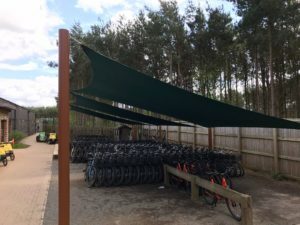 Some of the stranger jobs we have done in recent years have included fake acoustic insulation for a World War 2 observatory dome in North Norfolk and PVC ‘caterpillars’ for a scout jamboree at the Norfolk showground! 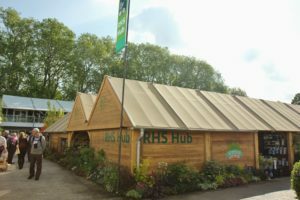 We have worked with some very large companies, including the RHS, for whom we made the canvas roof and doors for their exhibition barn, a holiday company in the UK for whom we engineered shade sails with bespoke metalwork for their log cabins in France and another well known forest-based holiday company who we work for on projects such as covering bicycles in their compounds. 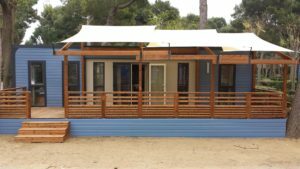 However crazy your project just ask if it’s something we can handle – you will be surprised by what we can do and how affordable it can be!